Please note that the marshalls draw took place at the track clubhouse last Wed 11th October. As soon as I have clarification of names Ill post them on here. This clarification covers the RR draws for London Marathon guaranteed entries. London Marathon award RR guaranteed entries for two reasons. Firstly we are given a batch in recognition of our efforts with marshalling the race. Secondly we are given another batch as a UKA registered club. We normally receive eight guaranteed entries for marshalling the race. The number of guaranteed entries we receive for being registered depends on the number of members we have. The more members, the more entries. Our membership levels have been fairly constant over the last few years and we have received five guaranteed entries. Obviously, we can only hand out the number of entries we receive. The RR’s that marshal the race are placed in the Marshals Draw for the eight places in next year’s race. All RR’s are eligible for the Club Draw which deals with the five places. But there are two rules which govern both draws. RULE 1 You have to be in possession of a Rejection Slip. This is simply to get as many RR’s into the race as we possibly can. If you enter and get in then the place goes to someone that was rejected. The onus is on you to look out for the date when the London Marathon entry ballot opens. Entry is on line and is always vastly oversubscribed. It is normal for the entry ballot to open in the morning and be closed in the afternoon of the same day. The ballot normally opens a few days after the race (April). You will obviously be disappointed when you receive your rejection but don’t throw the whole lot in the bin. Quite a few do each year. Tip – keep the rejection slip. RULE 2 You have to have been a member for at least a year. Years ago the rule was simply you had to be a current member. Then one year a man arrived, joined, put his rejection slip in the draw, won a place and we never saw him again. We had been mugged. One of our valuable places had gone. We decided that this wasn’t acceptable and added an extra little rule to overcome it. So “current member” became “member for at least a year”. RR take this as joining before 1st November of the previous year irrespective of actual draw date. This rule seems simple but there is one complication and this concerns renewal of membership. If you have not renewed by 31st March then RR considers your membership has lapsed. You are no longer a RR member. From the 1st April you have to re-join and the renewal subscription fee no longer applies. You have to pay the subscription to join as a new member. The re-join subscription is typically £2 more than the renewal subscription. Please note the previous paragraph. This is not paying a £2 forfeit for late renewal. It is a definite membership lapse and re-join. Your membership is not continuous. This situation impacts on the London Marathon Draws – both Marshals and Club. You have to be a RR member for a year to enter. If you let your membership lapse and re-join in April or later then you have not been a member for a year and cannot enter either draw. This is further explained in RR CLARIFICATION 1 Membership Renewal. The list for marshal volunteers goes up at track first week of February. It’s equally open to all. If you wish to marshal then just add your name and you have volunteered. That does not mean you automatically have a place on the RR coaches that go to London. You need to book your place on the coach separately. You will assemble in London on race day – April. Before you marshal you will be given some kit and be given a talk about duties. You will also be asked if you wish to go in the draw. Just a simple yes or no is needed. You then have to enter the race in the London Marathon entry ballot a few days after the race. Some months then pass by and the rejection slips start to arrive in October. The Marshals Draw then takes place in the bar area after a Wednesday night track session. We draw out all names, not just eight. We find that some marshals will have already got in, some will have “good for age” and some will no longer want a place. We may typically get down to 12th or 14th out of the hat before we have allocated the eight places. We will check that all the eight winners satisfy both Rules 1 and 2 described above. If you are one of the lucky eight then you will receive details of what to do in a few weeks. Entry is electronic now. If you were unlucky then your rejection slips will be placed in the Club Draw for a second chance. The Marshals Draw has to be concluded before the Club Draw can take place. 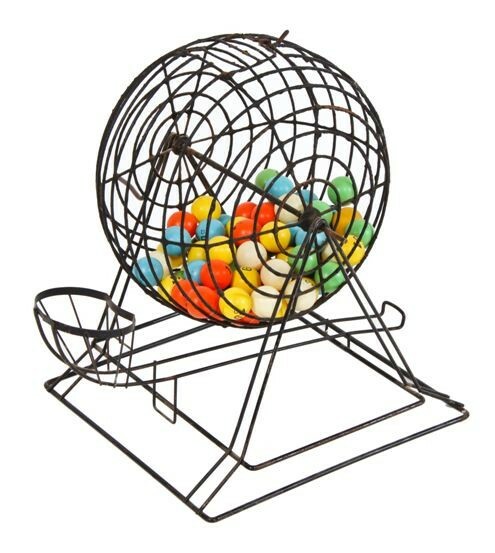 Once the Marshals Draw has been concluded the Club Draw can take place. Rejection slips are collected and the names put in the draw. All names are drawn out, not just the first five. We then have winners and a reserve list. The Club Draw takes place in the bar area after a Wednesday night track session. We will check that all the five winners satisfy both Rules 1 and 2 described above. If you are one of the lucky five then you will receive details of what to do in a few weeks. Entry is electronic now.